The first season of the Netflix original series American Vandal marketed it itself as a satire of stodgy true crime dramas, setting out to solve the mystery of who spray-painted penises on several cars in a high school’s parking lot. The show itself, however, was no joke. Played completely straight despite its juvenile premise, American Vandal unfolded into a twisty, compelling mystery, resulting in one of the best, most wildly entertaining shows on television. Though it wasn’t as high profile as some of Netflix’s other fare, the show had plenty of fans, garnering an Emmy nomination and a quick pick-up for a second season. As great as American Vandal was, it had a very specific formula, and felt like catching lightning in a bottle, as the old saying goes. What could a show as clever and unique as American Vandal do for an encore? This week brought the release of American Vandal’s highly anticipated second season, and fans of season one will be happy to know that these eight episodes not only measure up to the originals, they handily exceed them. 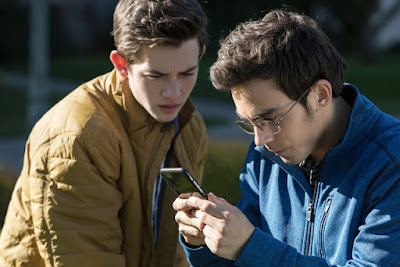 Season two finds documentarians Peter Maldonado and Sam Eckland (Tyler Alvarez and Griffin Gluck) visiting a private Catholic high school in Bellevue, Washington, the scene of a heinous and humiliating crime. A mysterious figure known only as “The Turd Burglar” spiked the school’s lemonade with laxatives, resulting in a high-profile scatological catastrophe infamously known as “The Brownout”. Two more incidents quickly follow, until the school believes they’ve found their man in known weirdo Kevin McClain (Travis Tope, Boardwalk Empire). But something about McClain’s confession doesn’t add up to Peter and Sam, and there are plenty of students with time on their hands an axe to grind against the school. Can they discover the Turd Burglar’s true identity—and motive—and what else will they uncover along the way? Like the first season, season two of American Vandal brilliantly uses a serious tone to tell a ridiculous story, presenting it in a way that makes it feel plausible. Creators Dan Perrault and Tony Yacenda (who have directed all sixteen episodes) have learned from, and improved upon, the few minor criticisms of the previous season. The characters are deeper and richer this time around, particularly oddball McClain and beloved star basketball player DeMarcus Tillman (Melvin Gregg, Freakish). McClain and Tillman are our central characters, fascinatingly deep and complex, and Tope and Gregg are superb in these roles. The jock and the outcast are two classic archetypes of teen movies and TV, but in the world of American Vandal nothing is ever what it seems. Tope and Gregg smartly balance everyone’s expectations of these archetypes with a natural longing to truly be their own person, resulting in huge, fascinating, fearless performances, ably shouldering the considerable weight of the story. And what a story it is. 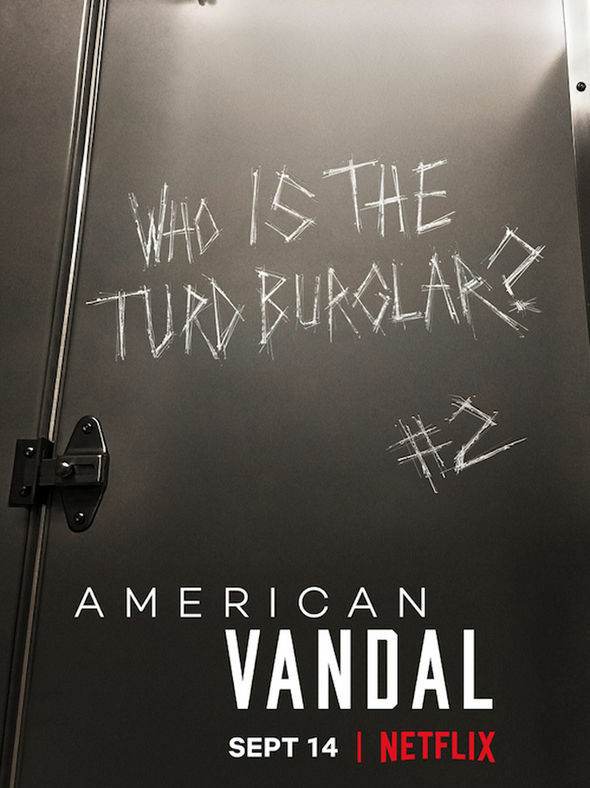 American Vandal season two is clearly not for the squeamish, so those sensitive to not just poop jokes, but literal poop on-screen, may want to steer clear. But those who do would be missing out on some fantastic storytelling. The writers have accomplished the remarkable task of crafting not just a great story, but a wholly unique one from season one, digging deeper, hitting harder, and going to places where the first season dared not go. 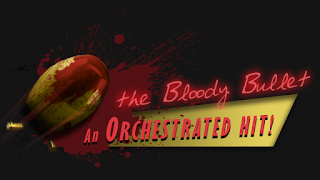 Secrets, lies, conspiracies, shaky alibis—like any good mystery, nothing is off the table, and all of it unfolds beautifully, keeping the audience guessing until the gripping finale. In its second season, American Vandal has upped its game significantly. The already great American Vandal has been polished, sharpened and streamlined into an even meaner well-oiled mystery machine that will keep viewers engrossed throughout all eight short but packed episodes. It’s hard to imagine where a possible third season could go, but if the first two outings are any indication, viewers are in for another twisty, fascinating, obscenely fun ride. One does not necessarily need to have watched the first season to enjoy the second, but both deserve to be seen and appreciated. 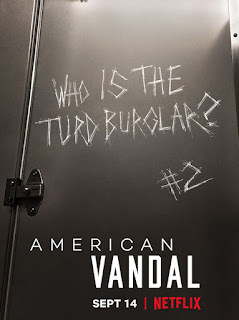 As far as season two of American Vandal is concerned, it would be hard to imagine a more fascinating or entertaining experience in all of television this year. Add American Vandal to your Netflix queue immediately, and binge-watch the crap out of it.